Work to improve the railway station forecourt in Haslemere by South West Trains (SWT) commences on Monday 4 July. 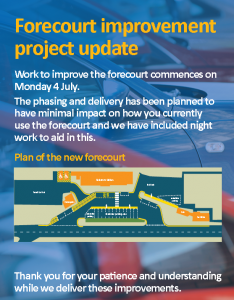 The phasing and delivery has been planned to have minimal impact on how you currently use the forecourt and SWT have included night work to aid in this. This entry was posted in Haslemere first and tagged Cars, Cycling, Haslemere Railway Station, Motorbikes, Passengers, Pedestrians, South West Trains, Surrey County Council on June 30, 2016 by admin. 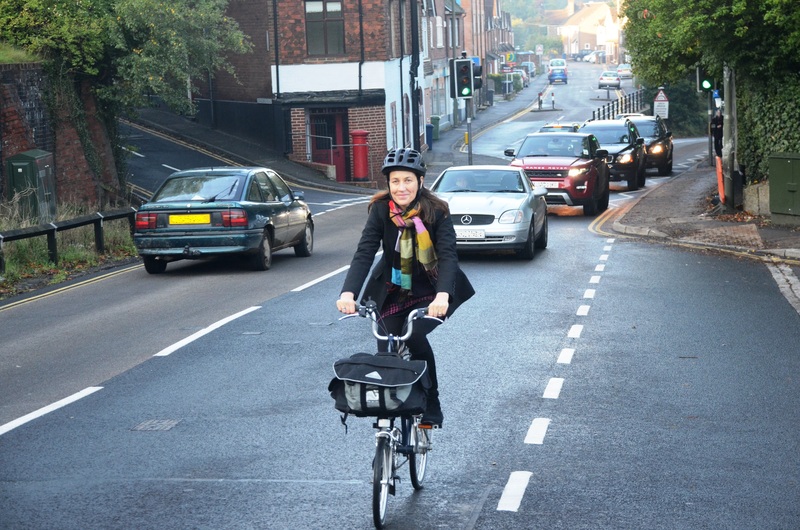 Do you have any ideas for schemes to improve cycling in Haslemere? The Haslemere and Western Villages Task Group is meeting next week on September 17th to discuss the way forward for cycling in Haslemere and the surrounding villages, as part of the new Surrey County Council Cycle Strategy. I am meeting with Surrey County Council officers on Monday, September 14th at Haslemere train station for a town cycle ride to identify ways in which the town could be made safer and more attractive for cyclists. If anyone would like to join us to share your ideas you would be most welcome. Please let me know your ideas and/or if you would like to meet via my Facebook page, Twitter, or e-mail on nikki.barton@surreycc.gov.uk. This entry was posted in Councillor Barton Update, Haslemere first and tagged Cycling, Haslemere, Nikki Barton, Surrey County Council, Surrey County Council Cycle Strategy, The Haslemere and Western Villages Task Group on September 9, 2015 by admin. A reimbursement of £40 will be made on the day as compensation for your time and travel expenses. Waverley Cycling Forum have asked me to publicise these trials so that we can recruit as many keen cyclists as possible to take part! If you have any queries or would like any further information about the trials, please do not hesitate to get in touch with the Trials Team on getinvolved@trl.co.uk. This entry was posted in Haslemere first, Surrey News Updates and tagged Cranleigh, Cycling, Time Trials, Transport Research Laboratory on June 9, 2014 by admin.